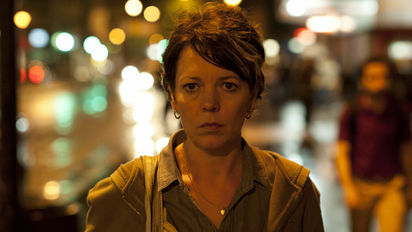 Whoop, another week, another gritty drama starring National Treasure Olivia Colman. Tragically, I have never seen Colman's comedy work, but by gum she is an excellent dramatic actress. Run runs (geddit) over 4 nights following four separate stories that interlink. I'm expected an urbanized version of the Street. And I get grime, guts and relentless depression. The mini-series broadcast in 1 week format is enjoyable but it is also a serious time investment and it does mean viewers binge on quality drama. Frankly, I’m running out of superlatives for these reviews. I need to watch something rubbish. But Run is far from that. Colman’s character, single mum Carol, is made up of fags, booze, selfish scrounging sons and no hope. It's a grim life and all too real. London is well represented as well, we’ve all been at the bus stop when the selfish driver goes off, and had a table littered with fried chicken. I swear that stuff is the fuel of London’s poor! The violence when it comes is expected but still raw. Carol’s teenage sons mercilessly beat an innocent, Eastern European passerby to death. The victim accidentally witnessed one son, Deano, arguing with his ex-girlfriend. I assumed the poor girl would be beaten or raped. The brothers react to the death by panicking, yelling and blaming the girl. They let Carol protect them while showing her no gratitude and do not express remorse at the killing. Plenty of people who live in Carol’s environment are being harmed by the right-wing media’s portrayal of them as idle, violent scroungers and Deano and Terry aren’t doing anything to change this perception. Call me an old leftie but this saddens me. There were flickers in this drama of a community, the friendliness of the local shopkeeper, the messages on the flowers by estate residents for the unknown victim. To compare Run with the work of a favourite director of mine, Mike Leigh, in amongst the unrelenting drabness and poverty his characters tend to have heart and generosity of spirit. Maybe I’m romanticizing by I’d like to see a little more of this. Carol does the right thing and calls the police once she has realised that her sons are guilty. She does first try to cover for them but realises it is a hopeless cause. In a wonderful scene, Carol realises that her sons are lost to her when Terry bites into an apple in imitation of his brutish father (played by the ever brilliant Neil Maskell, a man I do not want to meet on a dark night). If someone told me that one of the most harrowing scenes I’d watch this year would be someone crunching into an apple I’d have laughed, but it sent a shiver through me. The four episodes each focus on one character but the storylines are loosely interwoven. Tonight we were also introduced to a young Chinese girl, forced to sell stolen goods to pay back a debt. When Carol fails to arrive with phones nicked from her work, the girl returns home terrified. It seems she will be pimped out if she cannot come up with the cash. A preview trailer makes it seem like she may have a happier ending tomorrow night, with an appearance from Line of Duty’s excellent Lennie James, I shall definitely be tuning in.